Frame Tents for Sale, Frame tents have no center poles or guy ropes and are standalone structures. This kind of tent can be erected on almost any surface can be erected adjacent to a building and used as an extension. 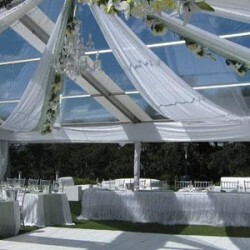 The Frame tents are much more stable and can span a much wider area over pools, flower beds or trees. Frame Tents can also be found being used as temporary structures for storage in retail and military applications. Frame Tents uses high quality PVC which also comes in clear span PVC which gives the appearance of glass as it’s see through and have a lifespan of approximately 10-15 years all depending on how well it’s maintained. Frame Tents are easy to assemble and demount convenient to transport and storage, It facilitates high security perimeter, It gives an elegant and magnificent appearance when installed accordingly, It has no interior poles structure design to give 100 percent use of interior space, It comes with heavy-duty and stable structure which can last long for years, Tents for Sale has a wide range of Frame Tents and Tents accessories also provide solution for customization of tents on the special request of the clients. 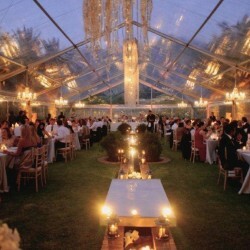 Frame Tents for Sale by Tents for Sale are manufacture & supplier of frame tents in South Africa. 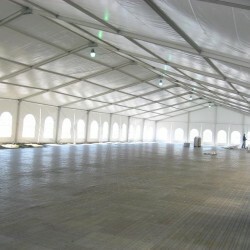 Leading manufacturers of frame large tents. This innovative Structure system is the ideal solution for your covering. These frame tents are also called Warehouse Tents, Storage Tents, Party Tents, Wedding Tents, Event Tents and Function Tents. Tents for Sale are specialized in frame tents for sale. We are committed to manufacturing exceptional quality tents at the most competitive prices. Our low prices do not mean that we compromise on quality, all tents are manufactured to the highest standard. Our specialized tent sales team is here to help you make the right decisions when buying your tents. Our experts are ready to answer any questions. With an indefinite variation of shapes and sizes possible, we can customize your tent to your requirement. Tents for Sale in South Africa market leaders in Frame Tents for Sale, design and supply of Clearspan Frame Tents Structures. Frame Tents are available in Clear span Widths of 5m–60m and eave heights from 3m – 6.2m in structures of unlimited length. It creates the ideal venue for any kind of event. Frame Tents is versatile and lightweight, yet highly durable which provides the user both quick installation and dismantling times. We are committed in providing excellent quality frame tents at very competitive prices. 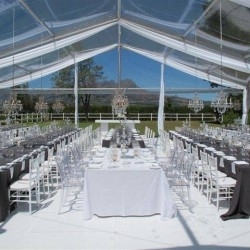 Frame Tents for Sale in South Africa, frame tents have no centre poles or guy ropes and are standalone structures. This kind of tent can be erected on almost any surface can be erected adjacent to a building and used as an extension. The Frame tents is much more stable and can span a much wider area over pools, flower beds or trees. Tents for Sale uses high quality PVC which also comes in clear span PVC which gives the appearance of glass as it’s see through. Frame Tents for Sale. Frame Tents could be widely used for temporary outdoor Exhibitions, Wedding Parties, Festival Celebrations, Conferences, Sports and other events, and also good solution of Temporary Warehouse, workshop and Temporary Emergency Relief and other purposes. No pole inside, means 100 percent interior space is used. Frame Tents has full line of accessories available such as, windows sidewalls or plain PVC sidewalls are up to customers. Frame Tents can be erected on tar and paving without damaging the surface. Frame tents do not have any center poles that are obstructive, and is the perfect solution for conferences and modeling shows that showcase presentations and performers. 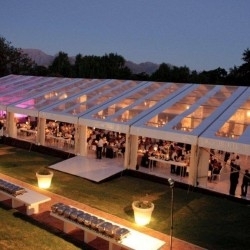 Frame tents are very neat, upmarket and create the ideal venue for any kind of event. This tent design has been around for many years. You could almost say that it brings a sense of emotional comfort for those who use it. 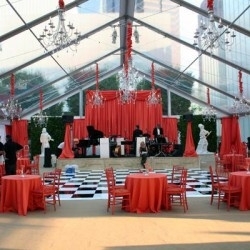 Frame tents conform to traditional geometric figures and shapes. This reduces time, cost, material, and weight. Frame Tents range from 5m x 10m through to 9m x 30m and we also can custom make any size to your specific requirements. Length can be extended by 5m. Custom made tents are welcome. Frame packed in membrane film. Hardware packed in wooden case. Roof and side wall in professional PVC carry bag.